24 Invasive Insect Species in North America and Their Destructive Impact #infographic ~ Visualistan '+g+"
The term invasive species refers to animals, plants, or pathogens that are not native to a particular ecosystem. They are likely to cause economic and environmental harm, or be hazardous to human or livestock health. Most invasive species introductions are caused by human action or error, but occasionally an organism will develop behaviors that compel outside of their native range. 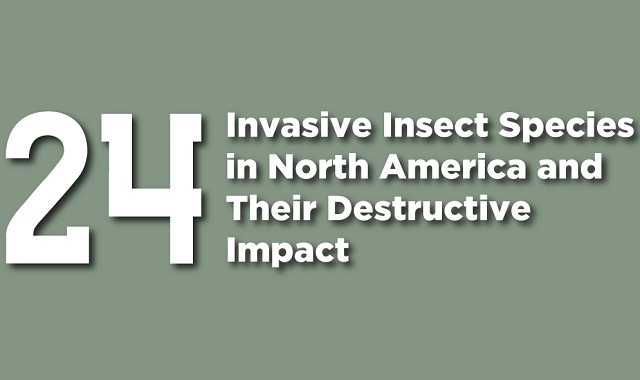 This infographic presents information on 24 invasive insect species in North America, where they originated from, and the destructive impact they have. You may recognize many of these species, especially if you spend a lot of time working or playing outdoors.